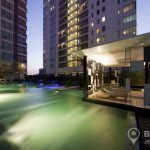 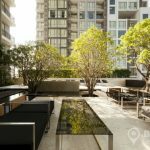 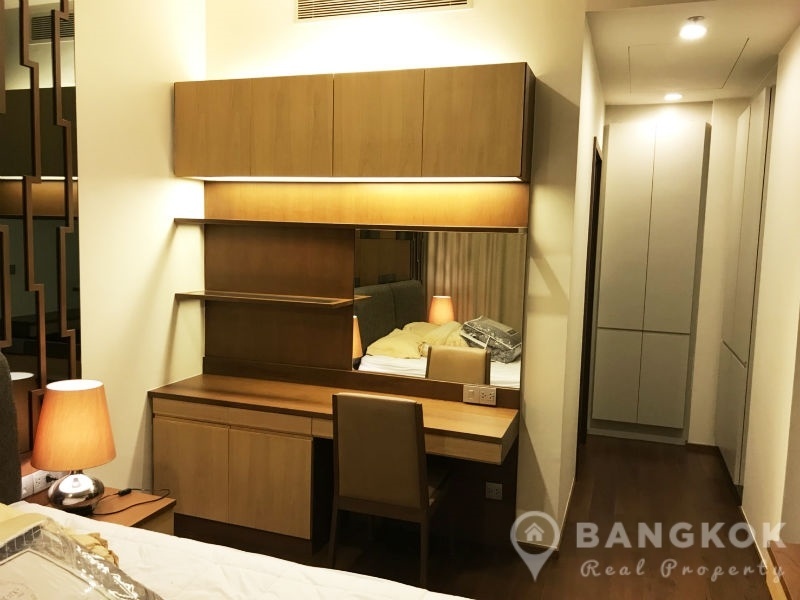 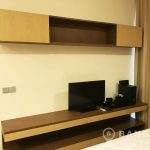 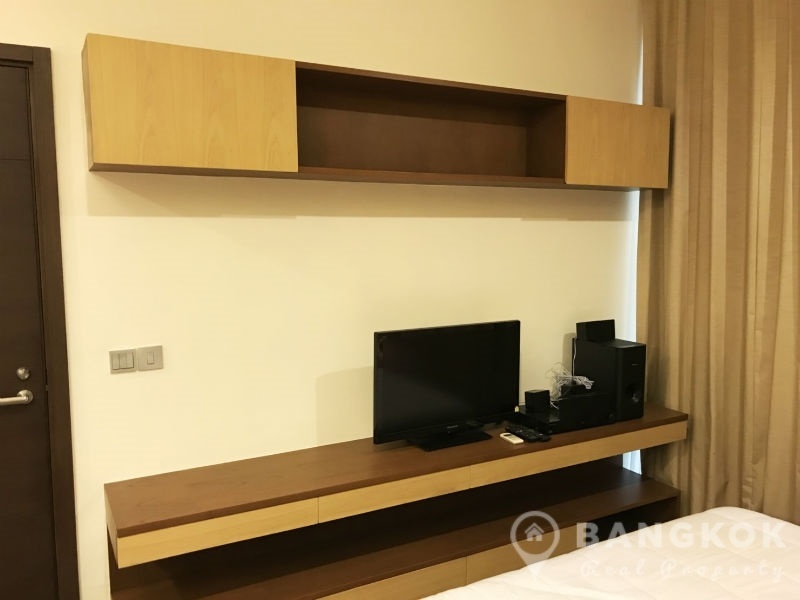 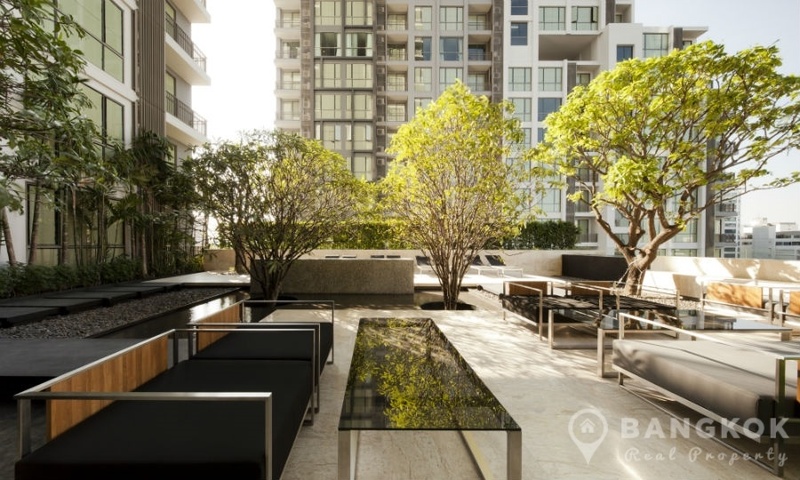 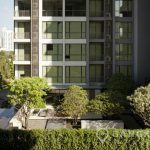 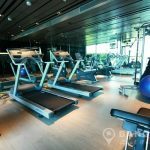 An spacious, modern, 1 bedroom condo is now available to rent at Quattro by Sansiri, conveniently located in the heart of Thonglor, just off Thonglor Soi 4 with easy access to Thong Lo and Ekkamai BTS Stations. 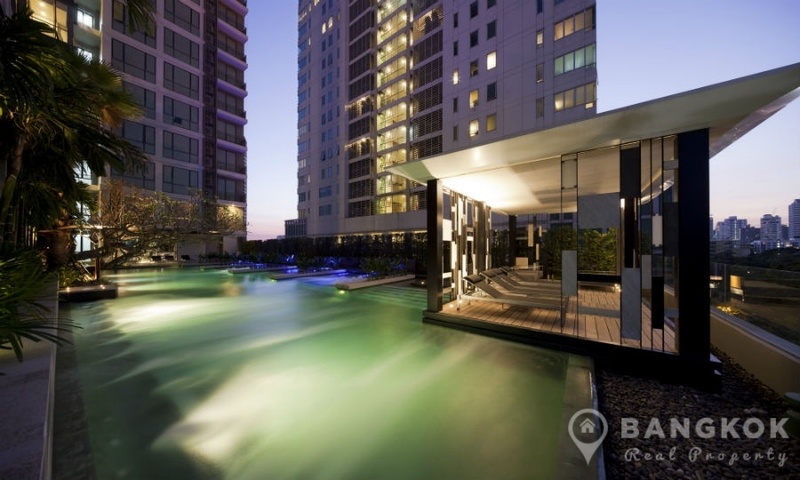 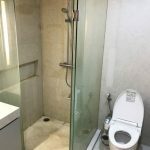 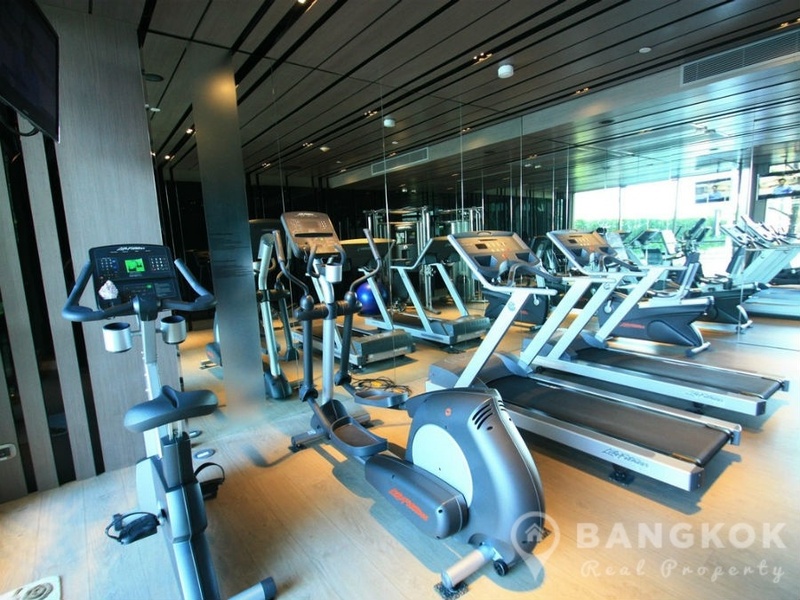 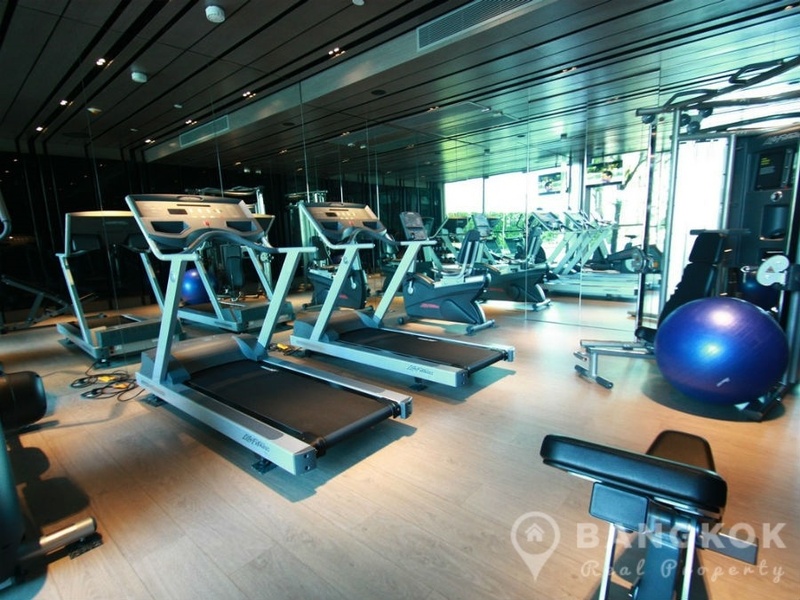 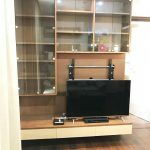 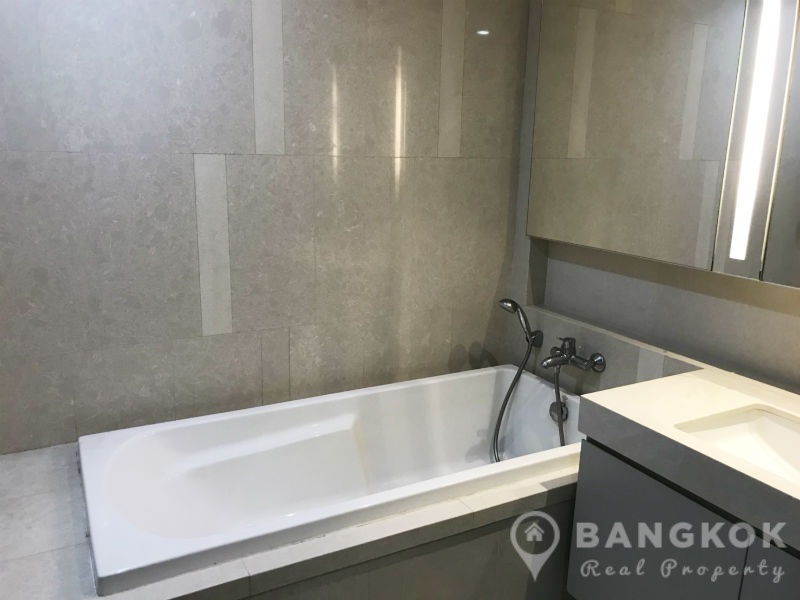 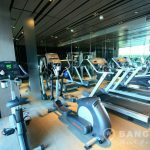 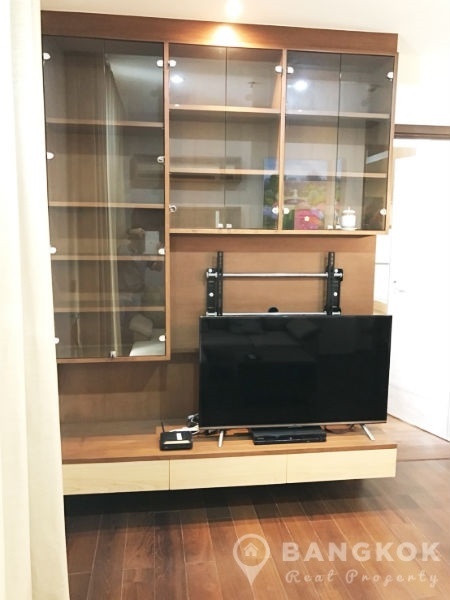 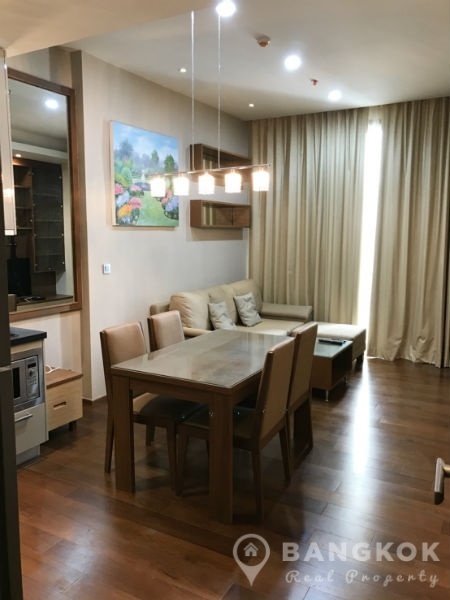 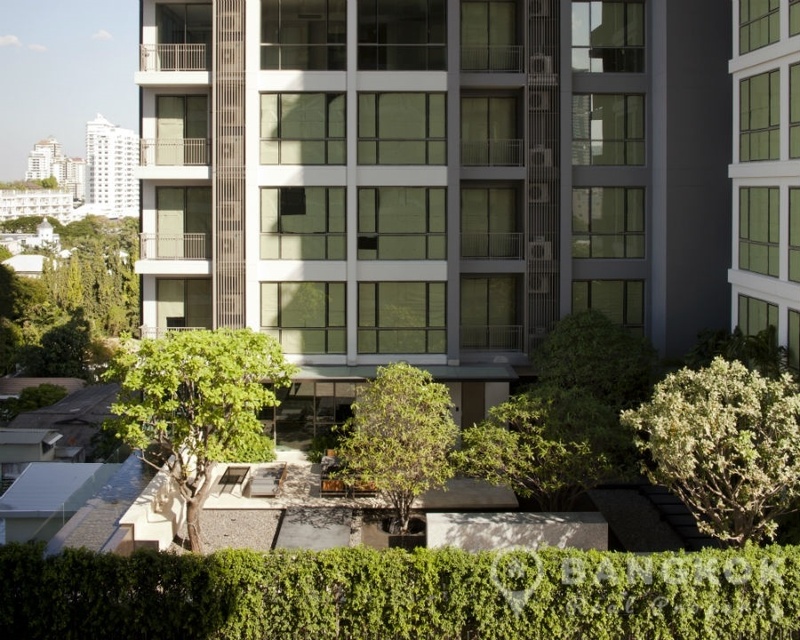 This a high rise development and just completed in 2012, offers residents access to great city living with numerous shopping and restaurant options locally, including J Avenue Mall, 8 Thonglor Mall, The EM District (EmQuartier + The Emporium), Camillian Hospital and Bangkok Prep International School. 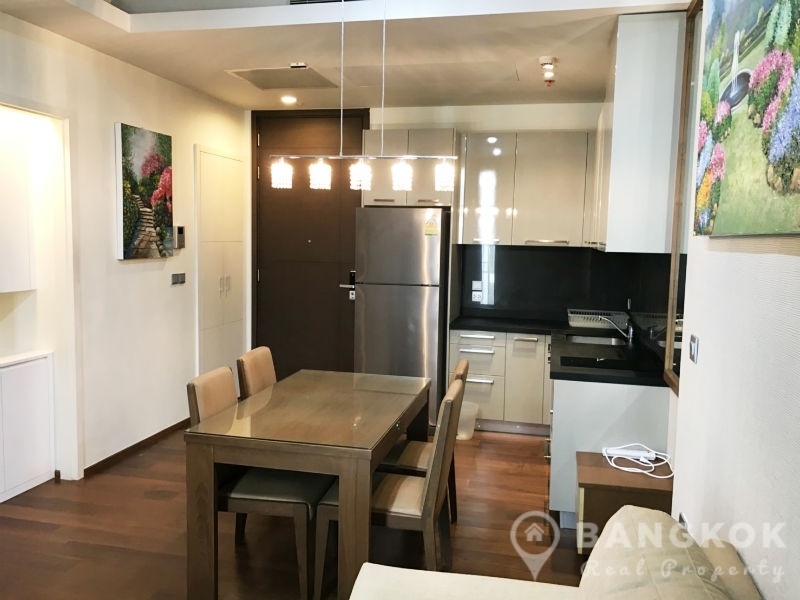 On a low floor of Quattro by Sansiri, this modern condo has 1 double bedroom, 1 modern bathroom and with 54 sq.m of living space with a balcony with city views. 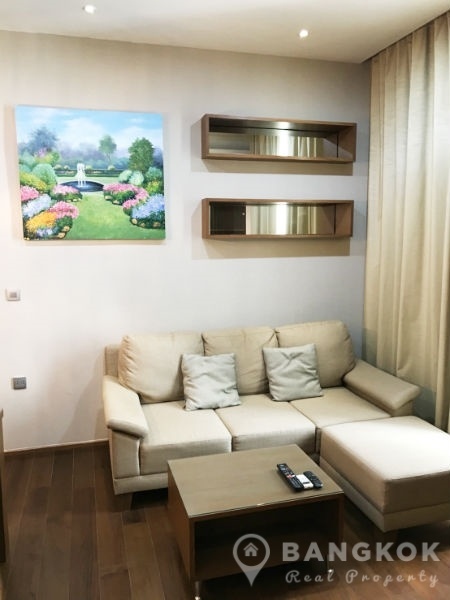 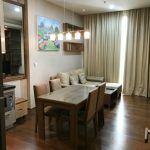 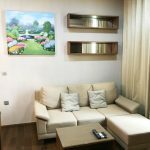 The unit has an open plan livingroom – kitchen, is fully furnished in a modern style, large LCD TV and wooden floors throughout. 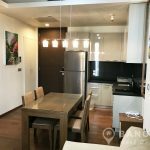 The modern kitchen has an electric hob &extractor fan, built in microwave, fridge freezer and washing machine. 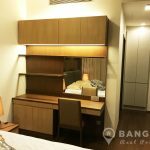 The double bedroom has good wardrobe space and a vanity / writing desk. 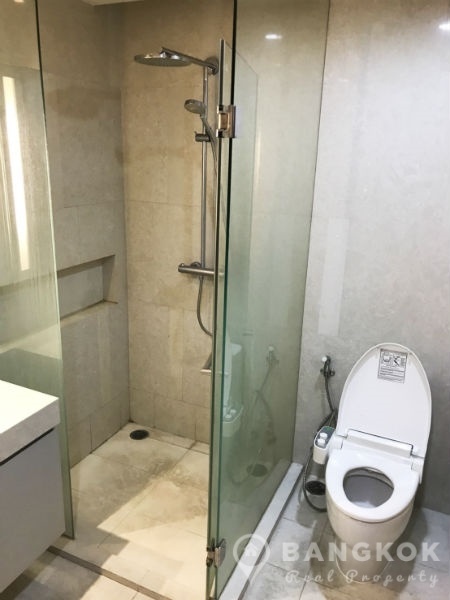 The bathroom has bathtub and a separate power shower.